Thoughts On Transracial Adoption From A Transracial Adoptee. 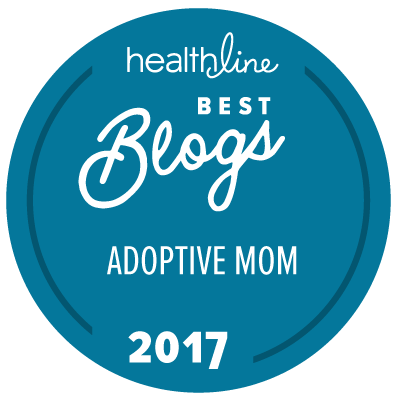 Welcome to our recently re-named podcast, The Honestly Adoption Podcast! What a treat this week to be joined by none other than Angela Tucker, a nationally-recognized thought leader on transracial adoption and an advocate for adoptee rights. Listen in as Mike and Kristin talk with Angela about her story and perspective as a transracial adoptee and as she answers some of their tough questions. Can you take us inside the mind of a transracial adoptee? What would you say are some of the fears transracial adoptees have? Fears of not being “black” enough or “white” enough. Not a rejection of my black self, but wishing I could be more similar to my white parents. Wanting to protect my parents. How can we support our kids as they process and navigate this? Have more transracial adoptees in their lives. Recognize it is less about race and more about identity. Think about the history about transracial adoption and see how it could look like you might be perpetuating some of those issues. The story should be open and known and it should be able to be talked about with adoptive parents without discomfort and fear about it. Let’s talk terminology and answering questions from others. What are some big Do’s and Don’ts? Let the adoptee speak if they want to. Don’t just talk about them. Put it back on the person asking the questions. Use it as a time to educate. What encouragement or hope is there for transracial adoptees and their parents? There are a lot of transracial adoptees beginning to speak out right now and a great community is forming with people who are available saying what you’ve felt and thought, and maybe haven’t felt safe to say. In 2013, at the age of 26, Angela’s own story of adoption and search for her birth parents was featured in the groundbreaking documentary, CLOSURE. The Adopted Life (www.theadoptedlife.com) began as a personal blog that allowed Angela to process publicly her emotions and experience as a transracial adoptee; a means by which she hoped to build a community of other adoptees growing up in closed adoptions. Since its launch in 2009, The Adopted Life has grown in readership and purview, and is now the name and platform for The Adopted Life miniseries. Angela Tucker currently serves on the Leadership Team of the Adoption Museum Project and works as the Post-Adoption Program Manager at Amara, where she is building an adoptee mentorship program, complete with an adoptee-only social network.